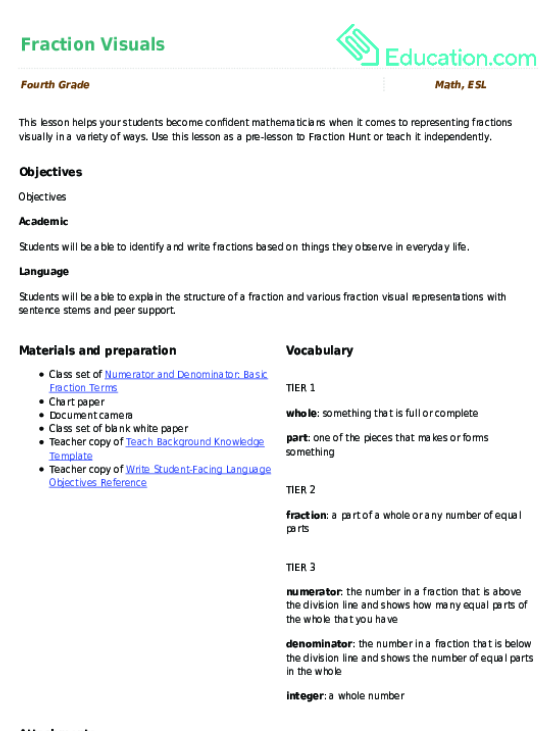 Check your students’ mastery of year five concepts surrounding fractions! This lesson helps your students become confident mathematicians when it comes to representing fractions visually in a variety of ways. 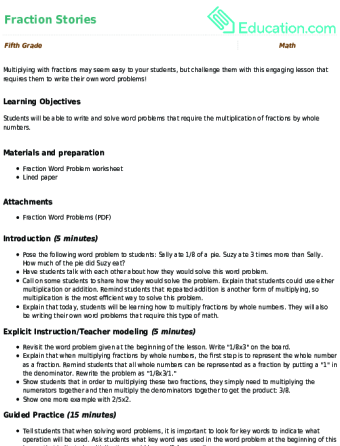 Use this lesson as a pre-lesson to Fraction Hunt or teach it independently.